It is said, when the going gets tough, the though gets going, so when you face challenges in your life, get it, that God is the ultimate planner and He wants to give you something bigger. No company or brand was this bigger from the start, they too took baby steps at first and reached to the mountain top subsequently. Therefore never underestimate the dignity of effort and hard work. Sooner or later it will surely pay you off in the long run. The currency roars, they money makes noise but you know, your skill has a longer way to go, it will never be snatched from you. It can never be taken from you. It resides in you, it is in your own hands and bones. The more you practice the better it grows. Your handful of ideas will not only get your mind activated but eventually you will end up creating a magic out of mole hill. I try my best to produce awesome stuff for you that is not only worth seeing but also worth using. Designers are in need of ideas and mockups to use into their projects so today I designed something that would be helpful for most of you. 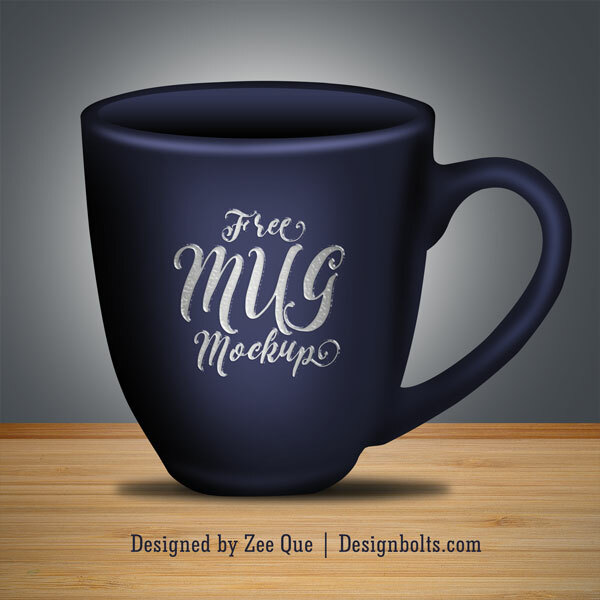 Take a look at free coffee mug mock-up. You can insert your own logo design which is demanded by your client and present it to him straight away. Basically it is made for presentation, ever since presentation has a vital role to play in the approval or disapproval of a design, designers do not get afraid of biting stones in their mouths. They make the presentation true charmer and stunner so the design will be acknowledged, approved and welcomed by the client. Without hiatus, have a look down here. Subscribe us for more freebies. Never step back and ask from us what more you want to know about art and design, because we try our best to accommodate you with design and art stuff in future as well. Stay hooked to us because more is yet to come your way!